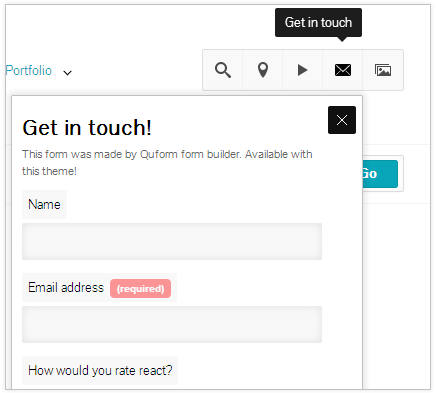 Add a Quform contact form into the Info Menu by choosing a form from the drop down list. If you have no forms, you will need to go and build one in Quform → Form Builder. For each area, you can choose to display the content (in this case a contact form) in either a Pop Out box or in a Slide Out box.